40000 BC, Australian Aborigines worked with aromatic plants through fumigation (smoke inhalation from herbs) and bandages (pasta clay mixed with herbs and applied to the skin). There are writings from 5000 BC that tell us that the two strong herbs used in Chinese medicine were: ginger and cinnamon (still really common nowadays). This is especially with Ayurveda that India brings a medical approach based on herbs and their energy actions. 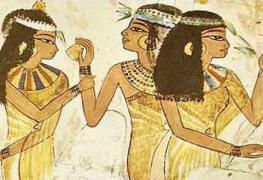 2800 BC Egypt uses aromatic oils in their mummification and ingested medication. Among the Greeks and Romans, Hippocrates of Cos, Discoride and Galen wrote several books about their knowledge about medicine using the benefits of the plants. By 1200 Avicenna (Ibn Sina), an Arabian prince and doctor invented the first alembic that could distill herbs. This technology is brought into Europe through the Arab invasions and crusades in Spain.